Welcome to the blog run by the team behind inkpop.com, HarperCollins' social network for aspiring writers and book-lovers! At 3 p.m. EST inkpop will officially be going down. We will be moving to the new site on Monday, Tuesday and Wednesday. Check back on Thursday. By 3 p.m. EST on Thursday June 16th, the new inkpop should be live and functional. We hope all are ready for the change. Good morning, inkpoppers! A lazy Sunday is never complete without a good book in hand; thus, today we bring you a review of Evernight – the concluding book in the Evernight series by Claudia Gray – from Precious of Fragments of Life. Stop by Fragments of Life to read more reviews from Precious; at this very moment, savor the romance and suspense of Afterlife! “In the fourth book, the starcrossed lovers Bianca and Lucas encounter another reason that set them apart from each other. After his transformation, Lucas awoke as a bloodthirsty vampire – craving more blood than the usual newborns. He hated himself for feeling what his enemies feel. Without her body, Bianca could only help him minimally. She faced her own struggles with being as wraith. When she was in Evernight Academy, wraiths have attacked her but now that she was one of them, she struggles to understand their intentions. With the help of Maxie, Bianca goes to Christopher in the world of lost things to search for answers and explanations. “As always, I loved the pace and the unpredictability of Gray’s last installment. I have grown to like Bianca’s narrative. It was familiar and soothing despite the obstacles and problems that she and Lucas encountered. They seek the protection and guidance for Lucas in Evernight Academy, the territory of Mrs. Bethany – the headmistress who wants nothing more than revenge against the wraiths for the havoc they wrecked. “I love that the characters have grown. They have learned to conquer their fears and to deal with the challenges of life or afterlife in some cases. The twists and turns made everything better. I was constantly surprised with the turn of events. I got to know the other side of some of the characters that I normally would not pay attention to. Thanks to Precious of Fragments of Life for stopping by to discuss Afterlife with us. 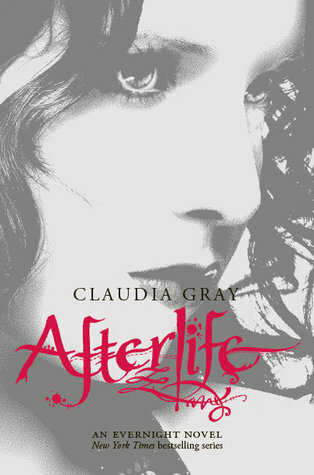 Over to you…have you read Afterlife? If so, what did you think of it? If not, will you be picking this book up during your next trip to the bookstore and/or library? Rise and shine, inkpoppers! Today we bring you a review of author Tara Hudson’s hauntingly beautiful debut Hereafter from Tina of Fantastic Book Review. Stop by Fantastic Book Review to read more of Tina’s reviews. For now, prepare to be swept up in Hereafter! “Breathtaking and eerie in its telling, ‘Hereafter’ sheds beauty on the entangled existence of life and death. The story is unique and enthralling; I was immersed into its pages completely. A world beyond the living, the Hereafter dug its claws into me and never let up. “From the first thoughts of Amelia’s nightmarish retellings, I was immediately captivated. Her voice is eerie but mesmerizing at the same time, I felt compelled to follow along as she told her story. ‘Hereafter’ ended up being a ghostly page turner. There was not one thing in this book that I did not like. It felt effortless as I read the pages while lively images sprouted into my head. Hudson’s writing flowed beautifully and captured the light and dark elements of the Hereafter. 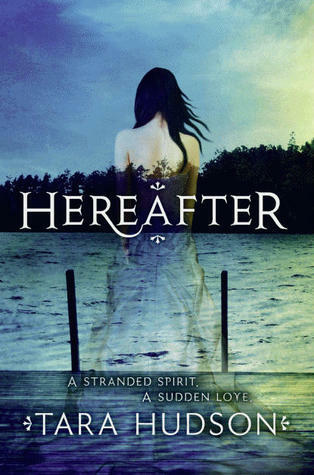 Thank you to Tina of Fantastic Book Review for chatting with us about Hereafter. Over to you…have you read Hereafter? If so, what did you think of it? If not, will you be picking this book up during your next trip to the bookstore and/or library? She maybe a debut author, but Veronica Roth’s hit book Divergent has taken the book scene by storm. Racing up the charts, it was a bestseller its first week on sale. So what advice does she have about writing? Write, write and write some more! My tips involve a series of stages. STAGE ONE: Word Vomit. (Sorry for the graphic image, there.) Just write. Do not reread what you’ve just written, even if you don’t remember it and you want to check it for the sake of consistency. Don’t do it! You will be tempted to edit, and pre-draft-finish editing is the enemy of writing progress. STAGE TWO: Let it sit for awhile. This is a good time for you to reconnect with friends and family you may have neglected while writing, and to recharge your writer batteries, so to speak. Not writing is as important as writing—go out into the world and remember how interesting it, and the people in it, are. STAGE FOUR: Rip Draft to Shreds. The phrase “murder your darlings,” (meaning: the stuff in your manuscript that you love best is probably the stuff that needs to go—and you have to be willing to get rid of it) has been important to me in developing as a writer. I try to make it a big, dramatic event wherein I save my old draft, copy-paste the text into a new document, and start deleting huge sections of text. It hurts, but it’s oddly liberating. The story can become something new now. Something better than it was before, something it couldn’t become if you clung to everything. STAGE FIVE: Start writing again. Veronica Roth is a twenty-two-year-old debut author and a recent graduate of Northwestern University’s creative writing program. 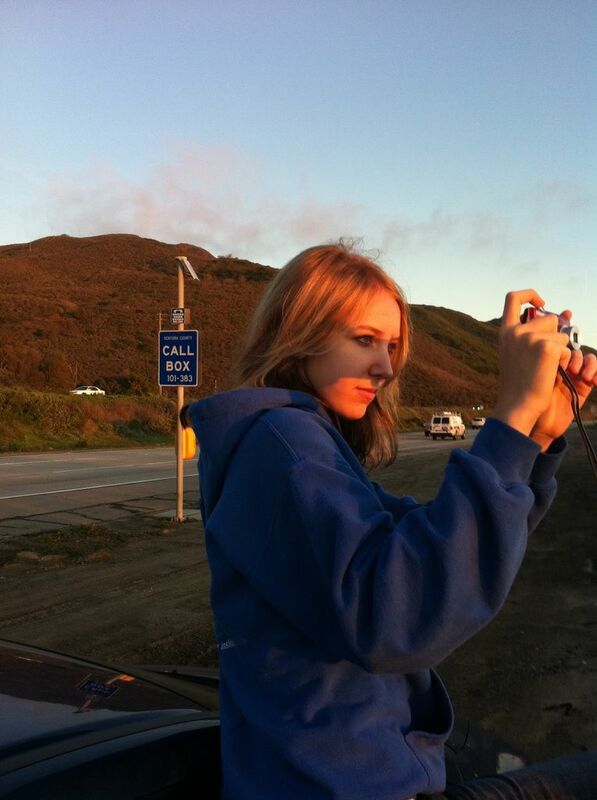 While a student, she often chose to work on the story that would become Divergent instead of doing her homework. Now a full-time writer, she lives near Chicago. ★ e-book prequel to Kami Garcia and Margaret Stohl’s ‘Beautiful Chaos’ available August 2011! Beautiful Chaos, the third installment in Kami Garcia and Margaret Stohl’s Caster Chronicles series isn’t slated to hit bookstores until October 18, 2011; but diehard fans won’t have to wait that long for their next Caster Chronicles fix. 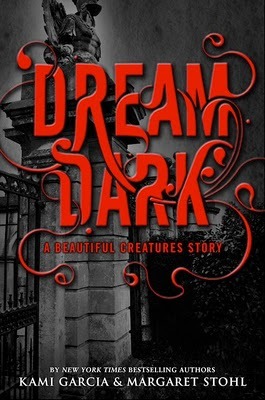 On August 2, 2011, Garcia and Stohl will release Dream Dark: A Beautiful Creatures Story, an e-book exclusive download said to be a prequel to Beautiful Chaos, which focuses on Link, Ethan’s best friend, as he begins his own transformation into the supernatural. “In addition to the brand-new short story, the e-book download will also include an exclusive sneak peek at the first five chapters of ‘Beautiful Chaos.’” MTV. ★ James Patterson’s ‘Maximum Ride’ series coming to an end Since its debut on April 11, 2005, James Patterson’s Maximum Ride series has struck a chord with teenage readers and adults alike with his cast of quirky, part human/part avian characters thought of as modern-day superheroes, but nothing lasts forever – and neither will this series. 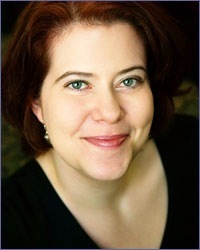 Patterson recently announced that the release of the eighth book – Nevermore – set to hit bookstores in February 2012, will be the final installment in the series. “Patterson was confident that the movie will be adapted. In fact, the team behind the ‘Iron Man’ movie series just finished writing a ‘Maximum Ride’ screenplay and Catherine Hardwicke told GalleyCat that she may direct the movie.” GalleyCat. 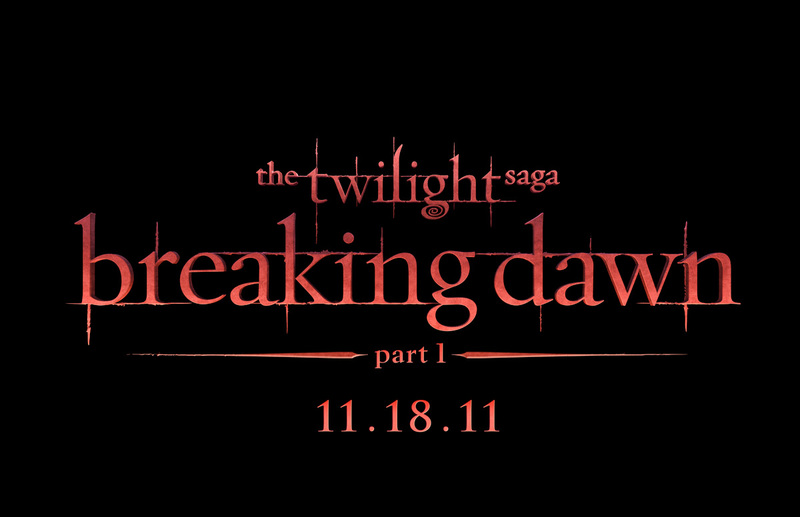 ★ ‘The Twilight Saga: Breaking Dawn’ Part 1 film trailer released! Though November 18, 2011 is still a good five months away, on Sunday, June 5, 2011, MTV debuted the official trailer for one of the most-anticipated movies of the year – Twilight Saga: Breaking Dawn Part 1. The two-minute trailer, which you can view here, includes footage of the wedding invitation scene, as well as “spoilers about the strange plot of Stephenie Meyer‘s novel.” MediaBistro. Over to you…are you excited for the release of Beautiful Chaos? Will you be downloading a copy of Dream Dark on August 2, 2011? Will you be sad to see the Maximum Ride series come to an end? What are your thoughts on a Maximum Ride film franchise? What do you think of the Twilight Saga: Breaking Dawn Part 1 trailer? Will you be seeing the film when it his theaters on November 18, 2011 – why or why not? So many of you have asked, what goes into the editorial process? Well as inkpop author Leigh Fallon will tell you, Carrier of the Mark went through A LOT of editing. Want to hear more or ask a real live HarperCollins Editor about publishing? Join us for a live chat today at 5 p.m. EST in the inkpop forum events. The second line edits were done through Track_Change. Want to see more or want to find out more about the editing process? Psst a comment or a question in our inkpop forum events. ★ ‘Mortal Instruments’ author Cassandra Clare gives two thumbs up for the casting of Jamie Campbell Bower as Shadowhunter Jace Wayland! Though many have been up in arms since the official casting announcement of actor Jamie Campbell Bower as Shadowhunter Jace Wayland in the big screen adaptation of Cassandra Clare’s The Mortal Instruments series – some cheering and others expressing concern that the actor doesn’t embody Jace the way that Alex Pettyfer (the original name linked with the role in question) does – one individual who is thrilled about the casting is the author herself. Cassandra recently sat down with MTV to discuss the intricacies of casting, why Bower is such a perfect fit for Jace, fan reactions (to which she has stated “When they see him on the cover of a magazine, dressed up as Jace, with the runes, with the hair, with the build, they’re going to be pleasantly shocked and surprised and happy.”), and much more. Check out the full-length interview here. MTV. ★ ‘Sweet Valley High’ spin-off on its way to the ‘net Since the return of Jessica and Elizabeth Wakefield – the towheaded twins from Sweet Valley, CA – in Francine Pascal’s Sweet Valley Confidential: Ten Years Later, which found itself on multiple bestseller’s lists in April of 2011, many have been unable to quell their desire to read more about the twins that they know and love from childhood – and now they won’t have to. Last week, St. Martin’s Press revealed that they will be releasing a follow-up to the bestseller – though it won’t be available in stores. “The new follow-up, tentatively titled The Sweet Life, will be published as a digital-only serial beginning next spring. It will be released in monthly installments published online, mimicking the original cliff-hanger form of the original series. St. Martin’s expects that the installments, which will run approximately 20,000 words each, will especially be read on mobile phones.” New York Times. 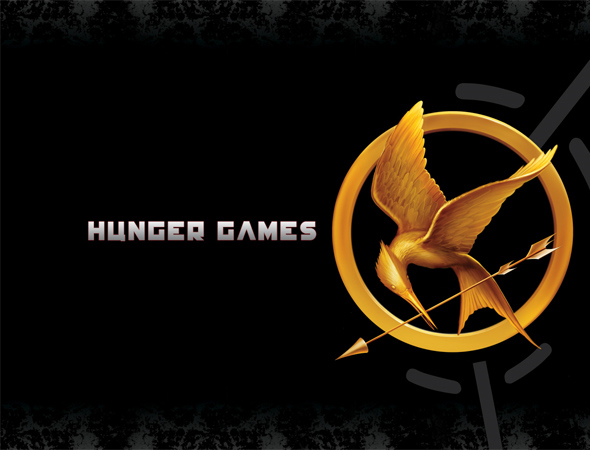 ★ ‘The Hunger Games’…four films instead of three? The Hunger Games, Catching Fire, Mockingjay. There are three titles in Suzanne Collins’ bestselling The Hunger Games trilogy; but now that the series is being adapted into a feature film franchise, those three books may be adapted into four films a la the adaptations of Harry Potter and the Deathly Hallows and Twilight Saga: Breaking Dawn. Though nothing is set in stone yet, as Lionsgate has only signed up to produce one film thus far, chances are that the entire series will be picked up upon release of the first installment, and the additional three will hit theaters soon thereafter. “As for how the trilogy will be turned into four films, it’ll go much the way that ‘Harry Potter’ and ‘Twilight Saga’ did. The first two books will be the first two films. The last book will be split in half. The final installment, ‘Mockingjay’, is logistically ambitious and can be scaled up comfortably to cover two films.” Deadline. Over to you…now that you’ve read author Cassandra Clare’s thoughts on Jamie Campbell Bower playing the role of Shadowhunter Jace Wayland, has your opinion changed? Are you excited to see him take on the role? Are you excited to see a sequel to Sweet Valley Confidential: Ten Years Later? What are your thoughts on digital-only serials – yay or nay? Would you read an entire book on your mobile phone – why or why not? Do you like the idea of adapting Mockingjay into two films instead of one, or would you rather see it as a single movie? “Hmm… about me… well, I have a thing for grammar. It’s the only reason I’m passing English because, quite frankly, I don’t like freshman English; perhaps it’s the only thing I’m capable of despising besides laws that aren’t constitutional and breaches of freedom of speech (I heart the First Amendment). “I’m a bit of a headbanger. Corey Taylor of Slipknot and Stone Sour fame and Otep Shamaya of… well, of Otep, are my musical idols. Concerts are my weekend activities when I have the cash to buy tickets and there’s a good band playing locally. But don’t let that fool you. I’m on the youth leader council for my youth group and have been going to church for somewhere around a decade. I have a love/hate relationship with my DSLR. It’s a good thing that Jenni (aka Jennii) likes writing, because the people of inkpop? 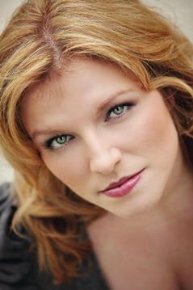 Well, to put it bluntly, they love her work – as evident by the Gold Star her project Stake My Heart earned in February 2011, and the rapid pace at which her new project, Things Unseen, is climbing the charts. ★ Your project Stake My Heart is incredibly popular on inkpop, and received a gold star in the February 2011 Top Picks. How did it feel to see it garner so much success; and receive such a fantastic review? Is Stake My Heart a project that you are still working on, or have you shelved it for the time being to devote time to something new? Jennii: It felt a little bit… odd? I’d written a few novels already, but I never let anyone see those. Then, I sign up to this site, write this novel that I only wrote because I wanted to write about a metal band, and suddenly I have people telling me they love Michael and that the band reminds them of this one band I used to be into, Black Veil Brides (that was certainly an ironic comment, as I’d just interviewed the guitarist). The review was nice. In relation to the next question, it kind of made me annoyed with the fact that Stake My Heart has been discontinued. Especially since starting Things Unseen and having people respond to it even better, I just don’t have any interest in SMH. Not to mention, I read over the last ten or so chapters that I crammed in just to finish. It’s weird to see my own improvement that’s happened in just the past year—and I thank God that I improved. ★ Your most recent project, Things Unseen, has only been on the site since March 31, 2011, yet it is already ranked as # 138 on the charts, and climbs higher with each passing day. How does it feel to know that you are quickly on your way to making it into the Top 5? What is currently going through your mind? Since you have already made it into the Top 5 in the past, do you feel differently about it this time? Jennii: Well, this is the first time I’ve seen the rank in a few weeks, so I’m not sure how to feel. I’ve actually paid no attention to where it’s been. I don’t scroll down my page to see it, and I cover the part of the screen when I’m updating. It’s nice to know that it’s still climbing, though (thanks, Zoey and whoever else has been promoting). As for what’s going through my mind… I need to work on chapter twenty-one, I need to edit sixteen, seventeen, and maybe another one before Zoey spams me, and I need to go back and fix up some little things that I keep forgetting to fix up. If it gets into the top five, it will come as a surprise to me the day I log in, seeing as I’m not looking at the rank. I’d be honored, but it starts to feel anti-climactic, in all honesty. I forgot about SMH’s review for a couple weeks after February ended, then one of the other February top fivers messaged me, asking if I was anxious. It felt odd. All I want is the input; numbers really aren’t my thing. ★ Both of your projects fall into the Horror / Paranormal / Romance genre. Would you say that this is your favorite genre to write? Would you ever consider writing something completely different from these genres? If so, which one and why? Jennii: I’d say that it’s what I’m most familiar with. I’ve been reading it for years now. Romance is generally a mainstay in whatever I read; I’m a terrible romantic, despite not liking to date. Paranormal and horror are nice, but that’s just where most of my ideas fall in most instances. I’ve got two ideas that I’ve been playing with that are both different. One is a general fiction idea that I’ll probably never write simply because it’s straight-up romance (think mass-market paperbacks by one of those middle-age women who can pump out nine books every five years). The other is in the outlining stages until I finish Things Unseen and will be a dystopian romance, although it may tip-toe the line of horror as some of my other projects have done. ★ Obviously, what with Stephenie Meyer’s Twilight and other vampires in pop culture, people are incredibly opinionated when it comes to them. Seeing as how vampires are a focal point in Stake My Heart, what are your thoughts on them, and how they are represented in the entertainment industry (books/movies/TV)? How do you feel your vampires compare? Jennii: I feel that they’re fictional beings with roots in ancient superstition. Every culture has its vampires. I’ve done research into it for my last three books, and it’s really made me aware of the fact that they differ so much. It’s ridiculous how people bicker over them. There really is no “real” vampire. The one we know best is the one that’s due to uneducated, superstitious people digging up bodies and seeing the natural states of composition (bloating, skin pulling back from fingers and toes to make nails appear to be still growing, etc.) and assuming their dead Great Uncle Bernard has been chomping on the villagers. Other cultures believe in demons that feed on the psyches of their victims. There’s a whole culture today where people call themselves “psy-vamps” and “feed” on the emotions of others. I think that it’s great that writers are creating their own idea of the vampire, but some variety is nice. That’s what I like about my vampires; they stick to tradition. I love writing the hero that’s just plain Michael/Aidan/Keir/etc. or just plain Aria/Haven/Belle/etc. They have their weaknesses, and there’s just about nothing they can do to be more than human. When the monster’s got the best cards in the deck, the hero and heroine have more room to grow stronger; they have to work hard to win, and that lets them develop more. ★ What do you feel influences your writing and why? Jennii: Random little things. Like I said, Stake My Heart came about because I wanted to write about a metal band. I fronted a metal band, so I guess that’s where the idea first stemmed from. 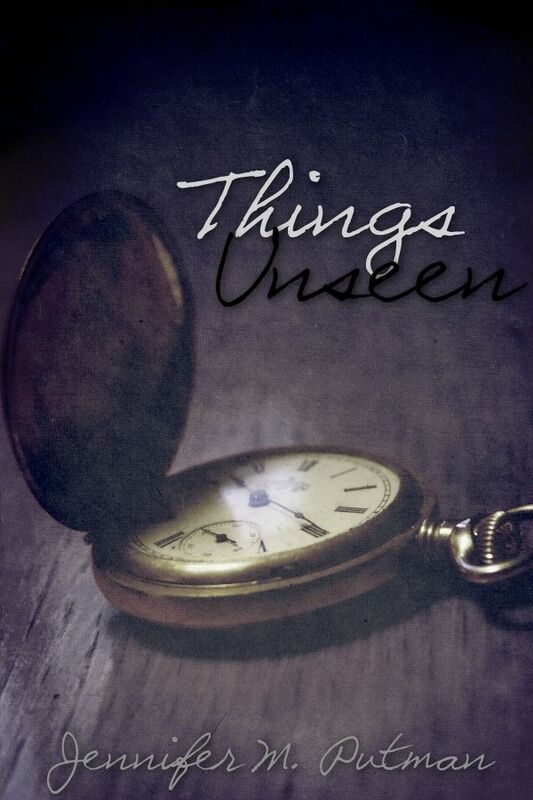 The watch on the cover of Things Unseen actually belongs to me. It’s a 108-year-old Ingersol Junior from my great-grandfather. I was holding it one day and just thinking about all the history that’s in it. The thing is so damaged inside, it’s got to have seen a lot. 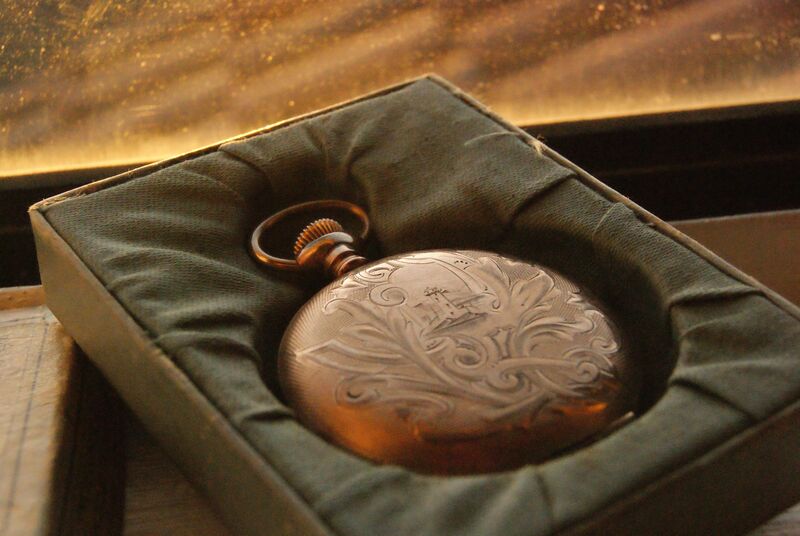 It felt almost magical because I adore history, and that watch has been through almost the entire twentieth century. Things Unseen spawned from that and a bunch of little notes about the idea. I also tend to get ideas from little things I see, but that’s usually for little bits and pieces of scenes. It’s fun to imagine the stories behind certain people, and that sometimes creates a new story or scene in my head. ★ Who was your favorite childhood author and why? Jennii: I have no idea who wrote the Magic Treehouse series, but those were my first chapter books. I stayed up reading them until one, much to my parents’ chagrin. I also loved my books on Greek mythology, bugs, and dinosaurs, but I’ve got the same plight there. R.L. Stine held my attention fairly well. I only read some of the Goosebumps books, but they were enough to feed my little mind. ★ What’s on your iPod? Fearless Vampire Killers, Slipknot, Casting Crowns, Otep, HorrorPops, Rise Against. ★ Hidden talent? I can lick my elbow, but people are more surprised that I can sing. ★ Twilight or Harry Potter? Harry Potter. ★ Book you could read over and over again? None. My mind retains things for two years, at the least. If it’s gone sooner, it’s not worth rereading. Over to you…who do you think should be the next inkpopper of the Week? Happy, Happy Sunday, inkpoppers! Today we bring you a fascinating peek at Obsessive Compulsive Disorder via a review of Heidi Ayarbe’s Compulsion straight from Sherry of Flipping Pages for All Ages. 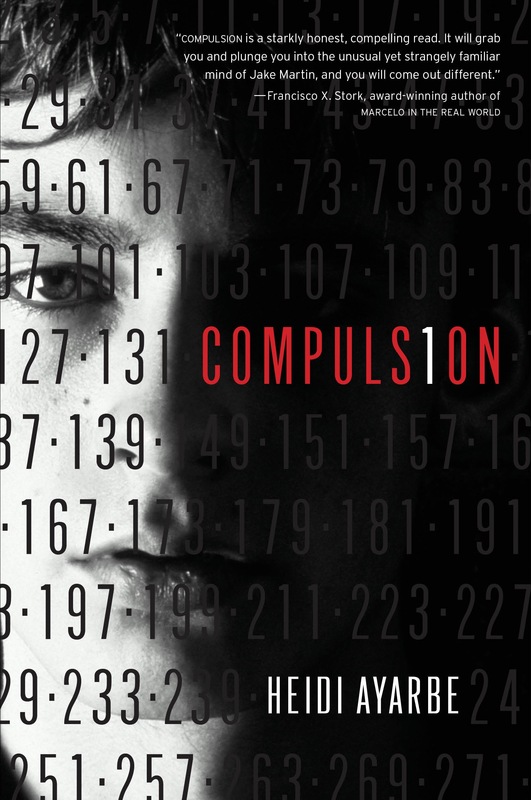 To read more reviews from Sherry, stop by Flipping Pages for All aGes; for now, settle in with Compulsion. “I’ll start off this review by telling ﻿you all that this has got to be one of the most unique books I have ever read. Reading about a topic that you have no familiarity with is quite a different experience but possibly more enjoyable than books that repeat the same ideas over and over again. I don’t suffer with OCD, or Obsessive Compulsive Disorder, and I don’t know anyone that does. I have also never read anything about it, so I have nothing really to compare this to. I imagine that what the author has written is pretty close to how this disorder actually is for some people. “Jake Martin is a star soccer player that also suffers with OCD. In his mind, he is constantly using math on different sets of numbers(i.e the time) in hopes of getting a prime number. Times when primes aren’t found, find Jake getting anxious and sick. Everything in his life is related to these numbers (at least that is how he feels). His continous winning on the soccer field, and especially, his family’s safety. “While the book was good, parts of it were definitely confusing and at times, seemed irrational, but to people with OCD, it’s not irrational at all. That’s how everyday life is for them. It’s actually quite amazing to get a glimpse into a persons life who suffers from it. That said, it was kind of distracting to constantly read about the numbers. I know that’s what the book is about, but I felt like everytime I had to stop and read about adding this and subtracting this and so on that when it got back to the story I had to think back to where I was before everything went all mathematical. “I did enjoy how the story went into the family dynamics. We get to see the relationships with his parents (his mom is also Obsessive Compulsive) and his younger sister. There is also a really strong relationship throughout the book with Jake’s best friend Luc. 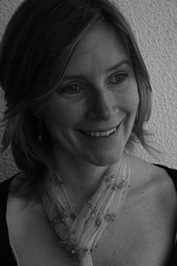 Thank you to Sherry of Flipping Pages for All Ages for sharing her views on Compulsion with us. Over to you…have you read Compulsion? If so, what did you think of it? If not, will you be picking this book up during your next trip to the bookstore and/or library? Welcome to the weekend, inkpoppers! On this first Saturday of June we bring you a review of a fun piece of fiction to kick off your summer the right way – Michele Jaffe’s Kitty Kitty from Sara of the blog The Hiding Spot. Of herself Sara says, “I’m a college student and ex-aspiring novelist. Maybe someday I’ll write something, but for now I stick to reading and spreading the word about great books!” Visit The Hiding Spot to read more reviews from Sara; for now brace yourself for Kitty Kitty! “Michele Jaffe’s books totally rock my socks off! I don’t know how she comes up with such great plot lines and hilarious dialogue, I just hope she never stops! 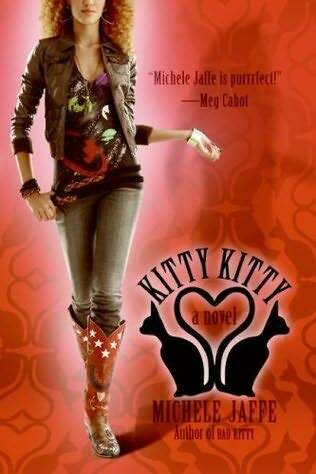 “‘Kitty Kitty’ is the the continuation of Jas’ story that began in Jaffe’s first YA novel, ‘Bad Kitty’. While readers will most likely be able to follow Jas’ story if they begin with ‘Kitty Kitty’, I recommend reading ‘Bad Kitty’ first. Not only will you have a better idea of who the characters are and how they came to be in Venice, you’ll also laugh your head off. “One of my favorite things about reading Jaffe’s YA novels is the fact that when I’m reading, I constantly feel the need to find someone to read passages aloud to! These books are so funny that I ‘must’ share them! “There isn’t a lot of YA mystery out there – which is another reason to pick up Jaffe’s books. She is a seasoned mystery author, as she writes adult romantic mysteries as well. I’ve read her adult novels and was pleasantly surprised to see that she wrote YA as well. The YA novels are completely different than the adult novels, but just as good: Jaffe’s diverse writing talent astounds me! Thank you to Sara of The Hiding Spot for sharing her thoughts regarding Kitty Kitty with us. Over to you…have you read Kitty Kitty? If so, what did you think of it? If not, will you be picking this book up during your next trip to the bookstore and/or library?